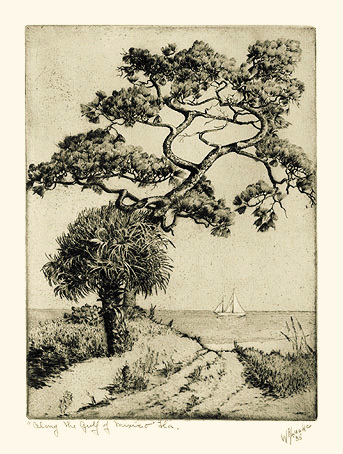 Along the Gulf of Mexico, Florida - - 1935, Etching. Image size: 10 3/4 x 7 7/8 inches (273 x 200 mm); sheet size: 13 x 10 inches (330 x 254 mm). A fine, rich impression, in dark brown ink, on off-white wove paper, with full margins (1 to 1 1/4 inches), in excellent condition.